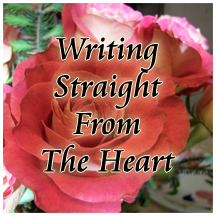 Thank you to Susan for asking me to write a guest posting for “Writing Straight from the Heart.” I truly appreciate the opportunity and hope that I don’t disappoint all her devoted followers! First, let me tell you a little bit about my work in general. I create lovely cut paper collages using a wonderful palette of papers in a myriad of colors, textures, and patterns. I am interested in presenting my viewer with images that both celebrate our unique diversity and unite us in our humanity. I approach each new subject as an exciting opportunity to unite these beautiful colors, patterns and textures with my own sense of wonder at the world, creating a meaningful piece of art that will delight and inspire my audience. For this particular collage, entitled “The Littlest Birds Have the Bravest Hearts,” I wanted to celebrate the idea that those who seem to be the weakest are actually the ones who, when called upon to do so, are able to make the bravest choices, beat the steepest odds, and overcome the greatest hardships. When asked to choose someone or something that represents bravery, most people would probably opt for a classic example of a noble beast like a lion or a heroic soldier or firefighter…all wonderful examples of brave and fearless individuals. However, I am always inspired by those beings among us, be they humans, animals, or even the odd flower blooming and growing in a sidewalk crack, that are able to survive and even thrive in the face of adversity. In short, I believe that, because of what is often required of them, the “Littlest Birds” really do have the bravest hearts. What a wise and true sentence. I immediately thought of the daughter-in-law of a friend, who was pregnant and had her baby prematurely three weeks ago. They were told to be prepared for the worst. But the little one, so fragile and new to this world, fought and today is at home, still under care, but willing to make it. Aren't babies just amazing?! Wonderful post Noelle! and really pretty collage. She does beautiful work and I do appreciate her viewpoint of the things of this world. It's wonderful to meet Noelle! Thanks to both of you for sharing this with us. Her work is lovely and I like her perspective. So nice to meet you and Noelle. Thanks for visiting me recently. I'm trying to find more info on my chair you asked about. I bought it about 5 years ago and can't remember the brand and price. When I get back from my trip I'll be able to visit with you longer. 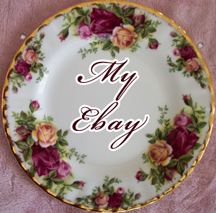 WELCOME to Grandma Nina as this blog's 124th Follower. How wonderful to have you. I completely agree with Noelle's words of wisdom. Great art work! Thanks Susan. Our little dog - ten pounds - is a rescue dog - he thinks he is tough enough to fight any size dog! Thank you so very much to Susan for allowing me this opportunity to be a part of this wonderful online community...and to all the followers who left such lovely comments regarding my post! It is such a blessing to be able to share my art and words with you all!